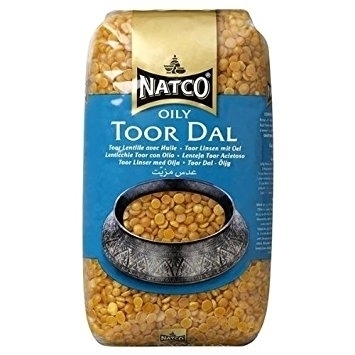 Toor dal is the most widely used dal in India. This ochre-coloured split pea has a slightly sweet, nutty flavour. Available in 500g and 2kg bags. Toor dal is the most widely used dal in India. This ochre-coloured split pea has a slightly sweet, nutty flavour. It can be used in dhals and is a main ingredient in traditional South Indian sambar and rasam soup. Be sure to soak dal for 3 to 6 hours before use. Beans and Pulses are naturally low in fat, high in fibre and rich in protein. The Natco brand is cherished by those who love quality exotic cuisine. Their experts travel to the farthest corners of the world to hand select the finest natural ingredients. They then clean, grade and process the ingredients to exacting quality standards. The meticulous care and attention to detail ensures the products reach you in perfect condition and represent the finest of their kind.